Link Tweet – Shortcode To Tweet Anything makes it super duper easy to tweet your way to the tippy top of the social media online network. Just in case you are unaware, twitter is one of the TOP social media platforms in the world today. This means you are nuts if you don’t tap into it with everything you have. Tweeting really does make the world go round these days and this specialized simple to use online software app makes it easy. You will have instant access to tweet just about anywhere on just about anything, until your heart’s content. It’s all about getting recognized online and this tool will help oodles with that quest. Twitter is it and if you want to make money online you NEED Twitter! 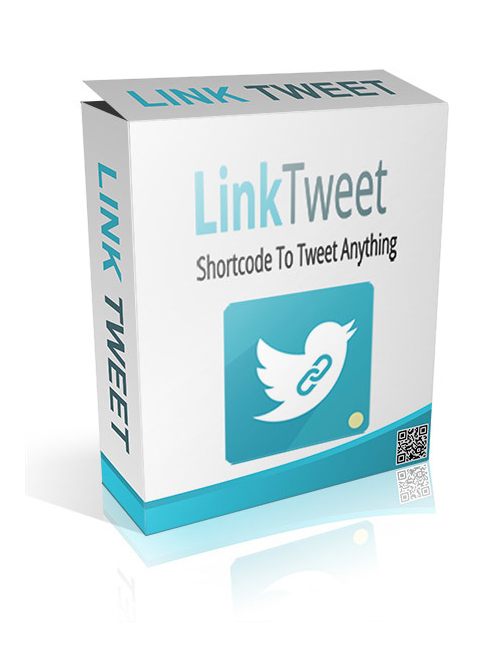 Link Tweet – Shortcode To Tweet Anything is one of the most valuable moves you can do in social media today to make your mark. Time to make your mark and win.